In 2015, the Standards Council of Canada (SCC) partnered with the American National Standards Institute (ANSI) in order to create one single unifying standard for balloon type backwater valves. Backwater valves are responsible for preventing sewer backup via their automated component, which involves a balloon bladder covering the waste pipe as soon as a sewer backup is detected. The new standard is called the Sensor Operated Backwater Prevention Systems standard and after years of collaboration, it marks the first joint standard between Canada and the US in the plumbing and heating industry. No joint standard has ever existed before this. Codes will now be much more streamlined within the plumbing (and heating) industry, greatly benefiting many people involved, including plumbers, manufacturers and consumers. What does the new joint standard mean for Canadian and US plumbers? A single, joint-standard will greatly benefit Canadian and US plumbers, as well as a variety of professionals in related industries. When it comes to plumbers, however, they will no longer have to comply with multiple different benchmarks at once. This means that when it comes to installing backwater valves, the specific job becomes both simpler and easier, taking less time and effort on their part. The entire process becomes more efficient and money is saved. This new joint standard will also positively affect the plumbing industry more broadly. It is believed that the new standard will make the entire industry more competitive, as well as make trade across the two countries easier. It also means that these trends will continue in the future, making the plumbing trade easier and streamlined across many different fronts. Manufacturers will benefit in terms of time and money, given the fact that only one product will have to be made instead of two. It also sets the precedent that more joint standards could come in the future, as mentioned. This joint standard will also greatly impact Canadians and American households as this device will now allow plumbers to install a retrofit device in current plumbing systems without residents having to pay for digging out concrete floors. This is especially important as flood frequency is set to increase. 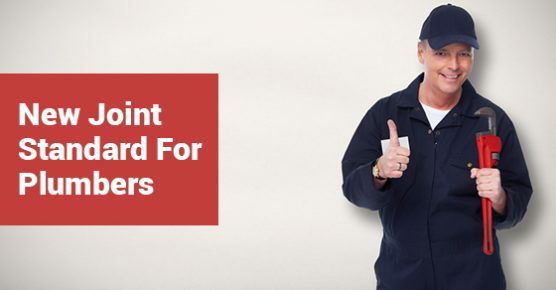 If you would like more information on this particular topic or you are in need of professional plumbing services, contact Advanced Plumbing, the most reputable plumbing company in Toronto. We are a one-stop shop that offers quick, around-the-clock services.